Provider rod case thoroughly pursued both protection performance" and "weight reduction" Provider rod case Rod case which is an indispensable tool for fishes of isolation and breakwaters. At the same time as molding the main body shape three-dimensionally， by incorporating a hard board on the entire circumference， the rigidity of the main body and lightening are realized in a high dimension. Built-in separator and step storage， high protection capability with hard bottom cup etc， have large storage capacity with large 3D pocket. It is full of easy-to-use functions such as small article storage pocket， interline wire pocket， shoulder belt with large pad. 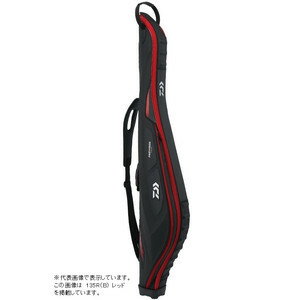 Rod case best suited for anglers who want to carry the necessary tackle efficiently. * The image of the product you are posting is displaying the representative image. Moreover， the color may look different from the real one. Please be forewarned."